Shopping behaviors have changed and purchase paths have evolved. Empowered by mobile devices, social media and the ubiquity of information, consumers expect to move freely between online and offline shopping channels. 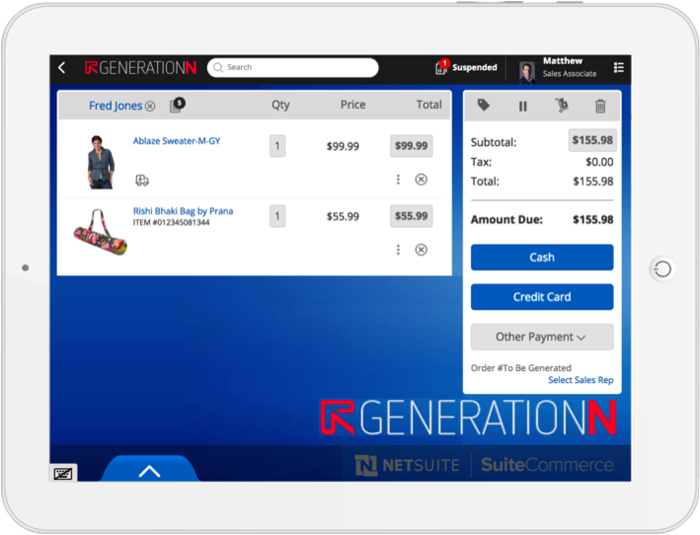 SuiteCommerce InStore provides retailers with a solution that unifies the physical and digital shopping experiences within a single, cloud-based commerce platform. Using a mobile device, arm your sales associates with complete inventory and customer information to engage customers more effectively, drive more sales, and provide a satisfying shopping experience. SuiteCommerce InStore unifies the online and in-store shopping experience. 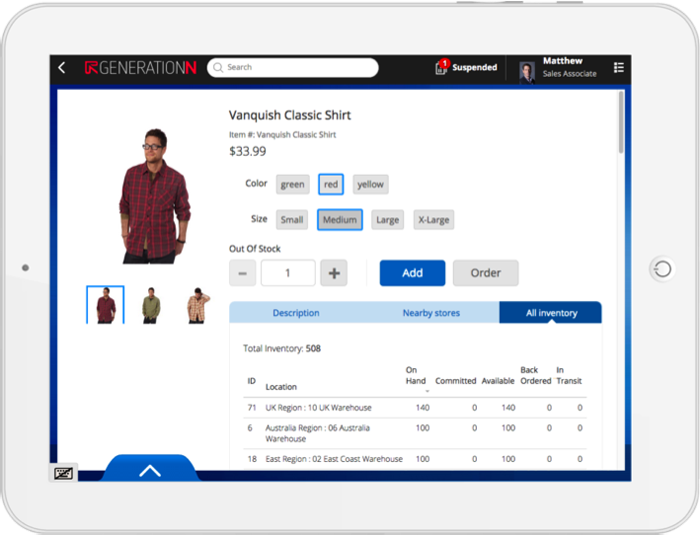 Transform the store with a true, single commerce (online, in-store, call center) platform. Engage shoppers by providing a complete shopping experience that is personal and seamless. Empower sales associates with the tools and information to assist and engage shoppers. Increase profitability with more product choices and better convenience with an 'endless aisle' of goods. Touch tablet UI screen and responsive design technology delivers an easy to use digital selling and servicing device for sale associates to engage with customers anywhere in the store. Perform traditional point of sale transactions (e.g. cash and carry, exchanges, returns, etc.) quickly and easily. Customers are able to access products they have added to their ecommerce shopping carts or wish lists at the point-of-sale and add them to an in-store transaction. Products that shoppers would like to save for later can be added back to their ecommerce wish lists. Access a timeline display of purchases, returns and support requests regardless of what channel a shopper is in. Get real-time visibility into all inventory held across the company, allowing customers to purchase products regardless of location in a single transaction, including cash-and-carry, ship-to-home or pickup in another store. Present upsells, cross-sells and related product recommendations based on merchant-driven rules such as location, 'bought also bought' patterns. 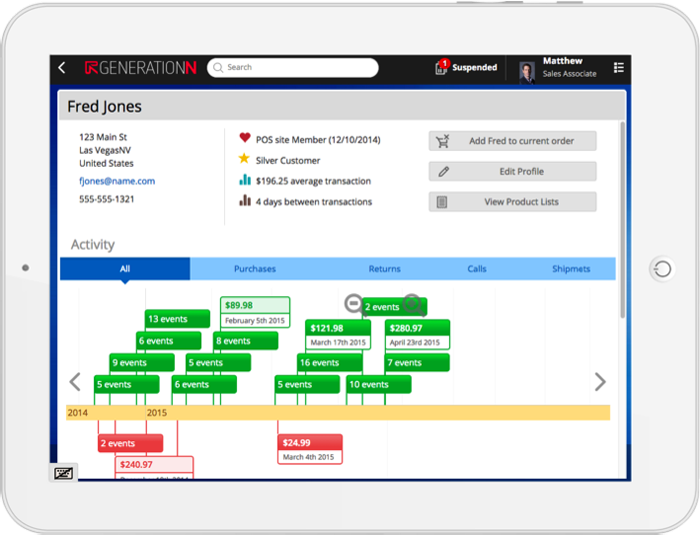 Real-time views into store statistics and cash management.